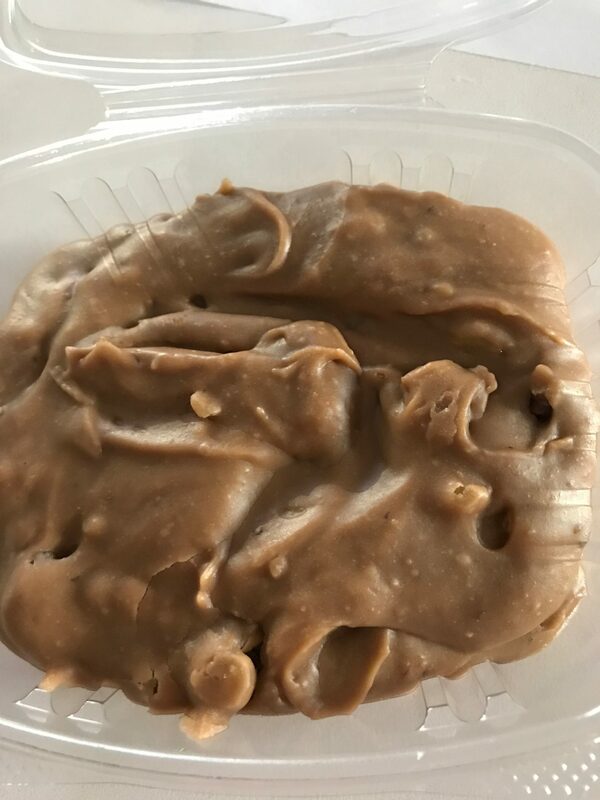 "Thousands of 5 Star Reviews"…..FREE SHIPPING….We Make Creamy Delicious Fudge In Small Batches From Scratch For Customers Who Appreciate Top Notch Quality With Incredibly Fast Delivery! We’ve layered our peanut butter fudge with our chocolate fudge to allow you to have both of your favorites in every bite. This duo is incredibly tasty! Creamy, smooth and delicious! Our premium fudge is made in small batches and hand-stirred to ensure each order is sent out meeting our high quality standards. Each container of fudge (9-11 oz) is shipped to you in a resealable container so you can enjoy yours right away or freeze for up to 6 months. ** Currently everything listed on the website is included in the buy 3, get 1 free special offer until further notice 🙂 enjoy! Just received my fudge order, super fast shipping! Absolutely cannot wait to dig in. Ordered mint choc chip, cookies and cream, caramel nut, and butter pecan. Thank you for a great shopping experience! I received mine yesterday. Very tasty and Thank You for my free gifts. I will order again for myself and family. Do you make sugar free?? Let me know? Looking for something for breakfast in the morning with low sugar and calories. / With my coffee. God bless you and Happy Easter, 👏🙏👏. . I got my treats a couple days ago! I do recommend most of what I got, which was peanut butter fudge, dark chocolate fudge, Nanaimo bars and David’s brownies, with the buy three get one deal. The peanut butter fudge has a nice flavor but it’s the consistency of cheesecake rather than fudge, very soft and a bit gritty. The dark chocolate fudge tastes good but it is soooo rich, I had to give some away! The brownies are fantastic and the Nanaimo bars are tasty. I honestly liked the sample fudges more than the ones I got, so I might just have to order more someday. :) They were butterfinger and milk chocolate toffee fudges, both delicious. If you enjoy peanut butter, I recommend the butterfinger fudge over the regular peanut butter. My mom enjoyed the free praline and chocolate chip cookie that came with the order! I received my fudge today, as well as some free samples. Delicious! The fudge is so decadent that just a little satisfies! One of the free samples was peanut butter fudge. I'm not really big on peanut butter flavored anything, but this stuff? Top shelf! It reminds me of the chocolate peanut butter bars in elementary school lunches way back when, except better. Macarons are also winners. I will definitely purchase again. best fudge I have had in a long time I love the Tiger Butter and amaretto also tried the Butterfinger and mint chocolate both were delicious. highly recommend!! My oh my! My mom passed away in 2008. I didn’t think I would ever have a decent piece of peanut butter fudge again, but this is exactly how momma made it. So so good. Fudge came today, absolutely delicious! Even enjoyed some free samples! Peanut Butter actually tasted like peanut butter. Will order again! Oh my goodness!!! Ann is very talented!! The best fudge and fresh ingredients plus she gives you samples!!! Ann, please don’t ever retire!!! Thank you for the samples!! I placed my order on a Friday and received it on that Monday! I'm not a person who usually like fudge but I had to try these especially the ones with the nuts. The praline was SO GOOD! I LOVE the butter pecan fudge. I'm savoring the ones I have before a place another order. I have a new addiction! I couldn't pass up a chance to try this fudge, based on all the good reviews! let me tell you, they're all true! I've tried the chocolate and peanut butter and chocolate walnut so far and they are amazing. the only downside is you'll want to eat it all in one sitting! the Maple fudge melts in my mouth I am a fanatic for maple and this is the best! It arrived fast, packed so well and so many little tasty goodies inside of the different flavors of other fudge and a big cookie! Thank you so much this is delicious! Absolutely delicious. The Nanaimo bars are incredible. Fast shipping! Wow!! First of all I placed an order on Tuesday and it was sent out Tuesday evening and arrived all the way to NJ by Friday! That alone is great, but the fudge! 😍😍 it’s absolutely incredible! I love that you get a few small samples included so you get to try the other wonderful flavors they have as well as what you ordered. I ultimately decided to try the buttercream first and it’s just delicious!! Thank you for such an amazing product!! I was SO DISAPPOINTED in myself because I finished a box of fudge in less than 24hrs .... LOL BEST FUDGE I've ever had melts in your mouth ! Ty love everything, the two samples the cookies the praline the fudge awesome!! fast shipping, product came in perfect condition. tastes amazing and great quality. Oh my! I was skeptical because the reviews were all so incredibly good. I now know why. I had to put the spoon down before I got in too deep and regretted making it all disappear. Literally the best fudge I have had in years. Oh my gosh the fudge is amazing! I got home from work n it was there on the table! I almost couldn’t stop sampling!! Thank you! We just got our first order tonight. the free praline was AMAAAAZING! coconut fudge was the BEST I've ever had! cant wait to try the others I bought. My family was very very happy! I ordered amaretto fudge,butterscotch,and dark fudge. T he butterscotch was addicting!!!! I must say it's an extravagant indulgence that I cannot afford often. However I will probably order again. Everything was wonderful!! The fudge was amazing. I will order again! just got my first order and first, let me say that I'm very impressed with the short time that it took to get the delivery. secondly, thank you for the extras! The praline was seriously amazing and I just snuck one of the Irish Cream Chocolate Cookies, which were also delicious. I also appreciate the tiny taste samples of flavors I didn't order. I tried a tiny taste of the fudge and wow, rich and creamy and the texture and flavor are just right. The quality of everything is amazing. I can't wait to share this fudge with my friends on our next game night! Great fudge, the coconut is fantastic. Fast shipping!! Great product made better with fast shipping! Creamiest fudge I’ve had in years!!! Just got my order & devoured the samples... now my dilemma is, which fudge do I start on first?! Amazing! Brownies were so good and I loved the praline. Will definitely order again. Amazing fudge and cookies! I was a bit worried about the order coming to S Florida on a warm day, but it arrived intact and delicious! Thank you for the sample of fudge and the cookies. Will definitely order again! Received our first shipment today and I am very impressed and happy as a clam. Terrific quality and taste. Everything came packed and very neat. Ann even included samples ( that my husband got in to first) I will definitely be ordering again! Wonderful fudge, cookies, pralines! Have reordered! fantastic, fast shipping despite being valentines day week, sweet note, fresh fudge, great variety, bonus goodies, will be purchasing again all the way in Pitssburgh, PA! I just got my first order! I got a sample size of the buttercream fudge and as soon as I took a bite I knew I would have to order a full size! we got our order Friday! So fast. We both loved the fudge and the cookie and free shipping! The is fudge is delicious. My husband loves fudge , but I am not usually a big fan. but this fudge is different. Some fudge has a sort of gummy taste with just a sweet taste. But Ann's flavor's are very nice! The salted caramel is quite nice. Thank you Ann. Don't change a thing! This was absolutely amazing fudge! I will be ordering from you again! The absolute best fudge I have ever had! Fast shipping and just Incredible! You cant go wrong. All though all are delicious, the Amaretto fudge is beyond amazing & our favorite. Cant wait to order again!! We love this fudge! So good! Great service and delicous fudge! I ordered it and received it in 3 days. Holy moly is this fudge great! I highly recommend this and will definitely be ordering again and again! Thanks for the extra goodies and the handwritten note. That was a very nice touch. Perfect for gifts! (I’m keeping this batch for myself). I give Oh Fudge by Ann 5 stars ! From the fast delivery to the handwritten thank you note, to the packaging and presentation. She out did herself ! This fudge tastes amazing ! Homemade taste, nice and smooth texture all around delicious! She adds samples and a mouth watering homemade chocolate chip cookie to every order. Ann forever has a customer in me ! I will not order fudge from anywhere else ! Thank you Ann ! 100% satisfied with the entire purchase. I received my second order from Oh Fudge on Monday. It was shipped quickly and free. While the tiger butter is still my favorite, the amaretto is very yummy. I appreciate the samples. Chocolate chip cookies are not usually my favorite, however, Ann’s is quite tasty and full of chips. Thanks, Ann. This is the best fudge I have ever tasted! The peanut butter is my favorite but the white chocolate, chocolate peanut butter, and chocolate caramel are all delicious!!! Just placed a second order within a week! It doesn't last long around the house, so stock up!!!!!! Fudge is very yummy; however is overpriced for the size containers! Yummy candy and quick delivery! The freebies make it even better. Thanks so much. Very tasty and well packaged for freshness. My chocolate chip cookie was chock full of chocolate chips, the praline was delicious, I ordered tea cakes that were outstanding and fresh, the samples of peanut butter fudge and toffee milk chocolate fudge were delish, I had a hard time putting down the penuche fudge as well as the chocolate walnut fudge! Highly recommended! my husband's family is from Canada and he is always talking about nanaimo bars so I went on the hunt and found Ann, not only did I get the nanaimo bars but also some delicious fudge, my favorite so far is the mint chocolate, holy cow! the fudge is truly amazing and my husband loved the nanaimo bars as well! Ann did it again!!!! ordered Friday & here Monday!!!! earlier than expected. Delicious!!! I just received my order and I couldn't be more satisfied! Everything is absolutely delicious. Words can't even describe how tasty the fudge and pecan pralines are. I will definitely order again and recommend to everyone! I have ordered a couple of times and I am always satisfied with the fudge that I get. I also love that you get a couple samples of other flavors so that you can taste test other flavors. I got my fudge in the mail today. Ann personally wrote thank you on my shipping order, which is so kind. I got a free cookie, a free pecan praline (EATING IT NOW!!! AMAZING), and 2 samples, one butterscotch fudge(AMAZING) and white chocolate. I haven't tried my fudge yet, but all the samples and the free chocolate chip cookie, is fricken delicious!! Just received my order today and my husband loves it. His favorite is the chocolate peanut butter. Rocky Road is my favorite. Great chocolate flavor and nice ratio of nuts and marshmallows to fudge. Dark Chocolate with Sea Salt and Caramel is pretty good too. Nice rich chocolate with a hint of caramel and salt. Mint Chocolate had too strong of a mint flavor for me - reminded me of toothpaste. Wasn't a fan of Amaretto Chocolate either. Maybe I just don't like Amaretto flavor that much. The Amaretto taste was quite strong. Chocolate chip cookie looked good and was a decent size. My daughter ate it so I can't really say much about how it tasted. Praline was not what I expected. Kind of a crumbly, sugary ball - not smooth and melt-in-your-mouth like the pralines you can buy around New Orleans. Amazing! I will definitely be back for more! The samples were great as well, along with the chocolate chip cookie that was thrown in. The peanut butter is my absolute favorite. Thank you! OMG, and I don't even text speak! lol Every thing is amazing so far and I just placed my 2nd order. SO GOOD! The praline that was included was delicious, and I'm ordering some now. The butter pecan fudge was amazing, and the others were all delicious too (chocolate, choc/pb, orange). Thank you! Order it all you won’t regret any of it. Yum! Yum! Great deals too. Got my fudge! 😁 OMG the Chocolate Peanut Butter did live up to it's rank as most popular. Tasted just like a Reeses cup. I usually think that flavor tastes bland when other confectioneries offer it. The Toffee, I couldn't really taste the toffee, but the rich chocolate taste reminded me of a well known recipe I've made many times 😉 not completely, but very close. The Nanaimo bars were fantastic, never heard of such a thing before seeing them on your site. It's totally like a custard pie made into a bar. Yum. The dark chocolate salted caramel was good, but not my favorite. I think that's on me though, guess I don't like a caramel taste as much as I thought. The praline was super delicious. Lol, it did taste like I was biting into a pile of sugar, but I didn't mind, the flavor was on point. I like the extra sweet that most people would describe as too sweet, unless it's coffee. I hate when I accidentally over sweeten my coffee. The cookie was great, wasn't extraordinary but was still very good. Traditional expected taste is definitely better than biting into a cookie you find to be underwhelming. Overall super thrilled with my purchase. I dabble in making desserts myself, so I'm pretty critical of others and I must say I'm impressed. My 3rd order came the other day. Delicious! 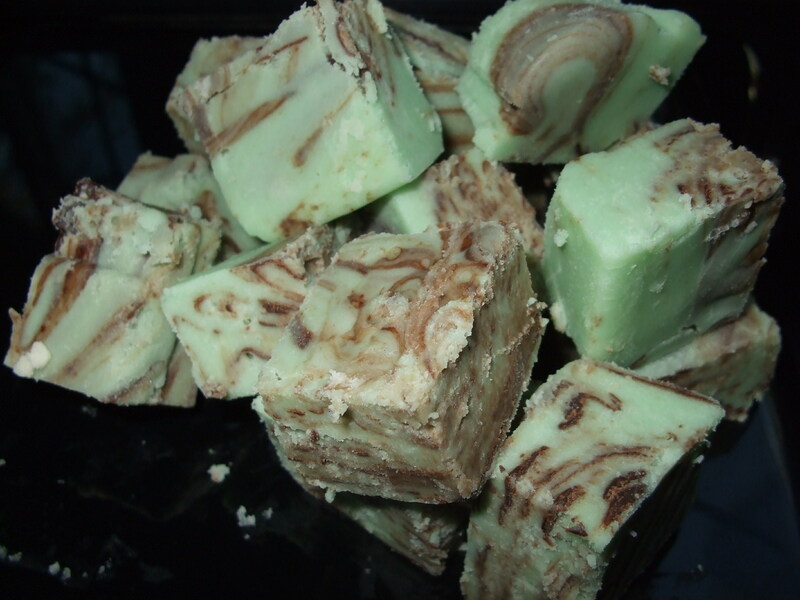 Received the Tiger Butter Fudge as a birthday gift and lets just say, this fudge is delicious! The extra treats were a lovely added touch! Definitely the best chocolate chip cookie I have ever had too!!! Just got my fudge today and it is devine and delicious! I bought 4 varieties and they are all amazing! Will def buy from Ann again! Amazing fudge! It was my first order and i thought it was awesome! Will be buying more soon. Great stuff. Delicious and well packaged, not to mention the free goody! I just received my first order today. I love the flavor of the penuche & the buttercream, and butterscotch fudges. I was not at all impressed with the butterfinger fudge, wish I'd ordered a different flavor. My order came with free samples which is always nice. The pecan praline was very tasty. I received my order four days later than expected based on what I read on the website. I was told it was due to the upcoming Valentine's Day holiday. My response to that is simply "make sure your supply can match the demand for your product". Overall I'm happy with my order! I ordered some to try after getting an advertisement. I usually am not a fudge person because I find it too sweet. However, Ann has captured the perfect balance of sweet, richness, and flavor. I also loved that my order came with some samples. Now I have more items I would definitely get a full size of. The packaging is great if you want to pass one on to a neighbor or friend. OMG! the fudge is AWESOME and so are the gluten free Chocolate Chip cookies. The coconut fudge is to die for. The free samples were definitely a perk. Ordering and shipping was so fast! Best fudge I've eaten besides my mom's! Creamy, smooth and yummy! I'm going to need to ration myself so it's not all eaten in 2 days! Arrived within just days, packaged with care. Thank you so very much...I'll be a return customer! Seriously THE best fudge I have ever bought! This fudge is absolutely amazing! So creamy and smooth! Super fast delivery, even during a polar vortex! Love the extra special touch too, got 2 sample bites of fudge and an incredible cookie and praline. Will most definitely order again! You're killing my diet and I love you anyway! If you’re wondering if you should place an order....DO IT!!! Everything I ordered is absolutely AMAZING! Even something as simple as a chocolate chip cookie (which was a free bonus I might add) was out of this world! I am not exaggerating when I tell u she has the best cookie, fudge, and praline EVER to exist! Thank you so much! Just got my first order. This fudge is delicious! Will definitely order again! The creamiest fudge I’ve ever tasted!! The best fudge I've ever tasted. Fresh and shipped quickly. Every flavor I've tried is incredible!!! My order just came in today - less then a week later - and everything was fantastic. Cannot recommend it more. Will be returning regularly. In a late night Facebook scrolling session I was suggested this fudge. I woke up feeling regret and confusion. Why did I order random fudge at 4 in the morning? 🤷🏼‍♀️ Well... what a wonderful decision!!!! The fudge is absolutely delicious and the free treats were delightful. The Penuche was my absolute favorite, just like Grandma makes it. If you are hesitant about purchasing some internet fudge just 🛑. Life is too short not to indulge on some AMAZING fudge. 🌈 Highly recommended! Smooth consistency and great flavor. Free shipping. Buy three and get fourth batch for free. The praline is melt-in-your-mouth amazing. the fudge is awesome. I will order again. my favorite was the peanut butter and orange dream .fast shipping to. Great, fast service. Fresh delicious products. Free samples! Yum!! How delicious it was.Melt in your mouth.Can't eat just one piece.You want more. I ordered fudge and pralines and had them shipped to my mom for her birthday. Penuche is her favorite fudge and she said that this was “the real deal”. She LOVED it (and the pralines too!) and felt extra spoiled with the samples and chocolate chip cookie. Thanks so much for helping me make her day so special! Oh Fudge by Ann is the best fudge ive ever had! I just ordered and received my first order and fell in love with one bite. I bought four fudges and I tried the samples and cookie they sent and there's not one thing I dislike. Even the coconut fudge sample (which I don't like coconut) tasted good! Not only that but the customer service is fantastic. Very quick and friendly! Thanks so much for a wonderful experience! I will definitely be buying more of your fudge! Everyone l shared this fudge with absolutely LOVED it! She makes the BEST fudge!!! I have already placed two orders and the second one was big lol. Highly recommend!! Her fudge is delicious! My favorite is tiger butter! Every bit of my order, tastes AMAZING! Thank you! Just received my first order today. Tried the samples and they were delicious. The coconut cream fudge sample was so smooth and creamy. Can’t wait to try the flavors I ordered. Fast delivery and I know I will be ordering again. It tastes so rich and creamy. The fudge is absolutely delicious. Tried four different kinds. Chocolate peanut butter, maple walnut, Rocky Road and orange Creamsicle. My favorite was the orange creamsicle. I will definitely be buying more. Just got my order in, and it's so good! The packaging was very good, and the contents were even better. I got the tiger butter, rocky road, toffee milk, and caramel nut. All are super creamy and have a great amount of "toppings" in them. The bonus cookie was super soft, and the praline was OUT OF THIS WORLD. Definitely will be ordering again! This is by far the best fudge I have ever had!! Ordered it Saturday and got it in the mail Monday. I will for sure will order more!! ordered four different kinds all arrived quickly and all tasted incredible. chocolate peanut butter is my favorite so far. will definitely be buying more! The flavor of the butter pecan is amazing, and my very favorite is the penuche, smooth and melts in your mouth. Free shipping, extra products that make you want even more of Ann's delicious treats, and a handwritten thank you for buying her product. Wonderful! nice product! Everyone would love this Fudge! Rarely ever trust Facebook ads, but it was FUDGE... lol so had to give it a try. Absolutely delicious! So smooth and creamy. I got a sample of the orange creamsicle and am definitely buying that next time! Highly recommended to all fudge lovers out there. Loved our order and will be placing another soon. My favorite is the butter pecan and he loved the chocolate peanut butter one. We also enjoyed the tiger butter and cookies and cream with the samples that were sent. Sleep deprived I ordered from oh fudge thinking it was a dream to find out days later I had in fact made an order and I must say I don't regret it one bit! They are all delicious especially the cookies and cream 😍 I will definitely be ordering from Ann again! I recently bought the peanut butter fudge, the tiger butter fudge, the nanaimo bar and the rocky road fudge and all of it was delicious! My favorite was the peanut butter fudge, though. I have to look through the choices to see if I missed a fudge with pecans in it. I'll be ordering again soon. I highly recommend it! All the products were very good and great quality. Highly recommend. I am quite picky because my tastebuds are really bad & I have no teeth, but the 4 fudge cookie & prailene were good & soft. I especially liked the butterscotch & Peanut butter chocolate fudge. I ordered some very expensive fudge a couple of years ago & was very dissatisfied but Ann made it like she was making it just for me. I ordered and it was amazing! So many lovely samples included and the fudge was delicious! My boyfriend loves the peanut butter chocolate and I loved the amaretto so much. Great fudge. Everything arrived on time and was delicious. I recommend trying it if you have not. Ordered 4 different kinds and they are delicious. My kids loved the tiger butter fudge. I liked dark choc with sea salt caramel. Can’t wait to try the others. Definitely good fudge. Best I’ve had. I'm from Philadelphia, so my family would frequent the Jersey Shore and indulge in fudge and salt water taffy and I've never had fudge nearly as good until I ordered from Oh Fudge by Ann:) I received my order two days early and truly appreciated the free samples and the hand signed personalized letter from Ann. Just got mine today. Was only able to taste Dark Chocolate Salted Caramel and walnut fudge. It is fantastic, I could have eaten the entire package. I’ll be back for more. It’s so creamy and smooth. Thanks Ann. First order for a family member and I decided to taste the coconut cream fudge (I don't really like fudge) and was like OMG I'm keeping this one for myself! I will definitely be a life long customer! I love the samples and special touch of Ann's hand written thank you! The Best fudge ever and the pecan praline was to die for!!! The tiger butter was soooo good, we also tried the cookies and cream, walnut fudge and peanut butter! Will definitely order again! Amazing! I got my order two days before the expected date, and it shipped in less than a week from across the country. I’ll definitely be ordering again! omg her chocolate peanut butter fudge is to die for!!!!!!! I love it so so much. will deff order again!!!!! By far the absolute BEST fudge I have ever had!!!!! The fudge is soft and delicious! So are the samples. Thank you! My fudge arrived today, on Christmas Eve, two days before estimated delivery. My husband and I sampled each item sent and we can’t decide which we like most. I really appreciated the samples, and will definitely be switching up my order next time! Everything from the fudge to prompt shipping is excellent!! Ann is amazing at what she does. Just received my 1st shipment of Oh Fudge by Ann. Because I am sending them as Christmas gifts, I was thrilled to get the samples sent to me directly. WOW, what a delectable treat for the taste buds. Highly recommend, superb customer service. This is by far the best fudge we have ever had. It is so creamy and yummy. My son loves white chocolate and we often had trouble finding it. When I saw this fudge, I just had to get it and surprise him. Well, when he stopped in today and tried it, he couldn't stop raving about it. Said he was even going to lick the dish when it's gone. lol I also ordered the chocolate fudge, tiger butter and the peanut butter and they all were amazing. The sample goodies also were delicious. Will definitely be ordering again and can't wait to try the other flavors. Also, shipping from Washington to New York only took 2 days. I mean, come on. its fudge. just received my order and it exceeded my expectations..I will definitely order again, everything is delicious! Their shipment was fast and even came a day early. Just in time for my Mom/s friends Christmas party! They loved it! I just got my order today...delivery was incredibly fast! I ordered on the 13th and it's here early on the 15th already...so surprised. I ordered amaretto fudge, butter pecan fudge, chocolate walnut & choc. peanut butter. The buy 3 get 1 free +cookie, praline AND FREE SHIPPING caught my eye & I couldn't refuse. Ann even included a handwritten thank you, instructions for best quality & even a couple other small samples. I am definitely pleased & will order from this wonderful business again! Thank you Oh Fudge by Ann! Fast free shipping. Real home made tasting product. Will buy again! Received my order the other day. Shipping was very fast, packaged secure and perfect!! The pecan pralines were amazing!! The cookies were the best I have ever had, and that was just from the wonderful sample box! Loved thre peanut butter fudge too. Definitely recommend, and will definitely order again. The fudge arrived quickly and well packed. All the items were enjoyed by my family! Excellent fudge!! I got the peanut butter chocolate and old fashioned chocolate fudge in the mail today and omg it’s delicious the best fudge I ever had! And the chocolate chip cookie sample was amazing I will be ordering cookies and more fudge soon! my order came as promised. The best fudge I have ever tasted. The tea cakes are wonderful. Thank you for the samples. I enjoyed them. I received my order of fudge and pralines today, along with some samples. The chocolate/peanut butter, chocolate, and butter pecan flavors, were all delicious! The buy 3, get 1 free promo and free shipping were incentives for me to order. Also the hand written thank you message from Ms. Ann, on my receipt, made me feel special. I will definitely be ordering again! so delicious..had to order again for the holidays!!! it's absolutely delicious. I ordered several flavors, there all amazing! Ill be ordered more very soon. The fudge is delicious, as are the chocolate chip cookies! Love the free samples and quick service. Ordered Friday and delivered Monday! Loved all four flavors of fudge, and totally enjoyed the free samples. The best was the personal letter from Ann 💕 Good job Ann, will order again!! Wasn’t sure what to expect, but it is (or was 😉) some of the best fudge I have tasted. I will definitely be ordering again!!! Incredible variety. Melt in your mouth taste. Mmmmm! Everything is just absolutely delicious. best fudge ever. delivery is quick. Some of the best fudge we've ever had. Ships very fast and is packaged incredibly well. If you are on the fence about ordering, just do it! The best pralines I've ever tasted! I just received my order, and I was not disappointed! I’m always somewhat of a skeptic when it comes to ordering from FB. But, oh my gosh! I’ve sampled the fudge walnut...HEAVEN! And the brownies are to die for!!!! I’m heading for the cookies next! What a wonderful product. You have me as a regular customer! Thank you, Ann! Best fudge I have ever bought!! Lots of delicious walnuts in the chocolate walnut fudge, more nuts than other sellers of fudge, which I really loved!! Fast shipping, great customer service!! OUTSTANDING!!! Excellent buttery real homemade fudge! Great customer service, price, packaging and quick shipping! This is not the “fudge store” kind! The fudge I have ordered has been delicious and I plan to order more as gifts soon. This fudge is amazing. I bought the buy 3 get one free and then divided each into 4 slices and made 4 gifts with one of each flavor. I hate to play favorites, but that peanut butter is the best I have ever had. Just received my order today and have to say this is the best fudge I have ever had !! There were also some extra little goodies included , which was such a nice surprise !! The chocolate chip cookie was delicious as were the samples of different flavors of fudge. I will be ordering again for sure and will be spreading the word about how delicious everything is !! I loved my first order of fudge, loved the fast delivery, and will love more in the future! Other than the fudge my grandmother used to make when I was a child, this is the BEST fudge I've ever had. I will definitely be ordering again. The cookie, the praline...the peppermint bark...Oh My! My only question is...where is the Divinity? Fudge is amazing and the Pralines are a gift from the gods. So good. I ordered because I've been missing the Rocky Road fudge of my childhood and thought I'd try yours. It is delicious. I ordered 4 different fudges on November 15 and received them Sunday, November 18. I immediately opened the package and tried the fudge. The Rocky Road brought back wonderful memories. My husband loves the Butter Finger fudge. The cookie you sent was also wonderful. We will enjoy trying the other 2 and will order more when these are gone. Thank you for a wonderful quality product. Very good fudge. Plus the pecan praline is good to. I am a first time buyer and so happy that I did!! Excellent fudge and so is the peppermint bark :-) Everything I ordered is great and got here in record time!! Thank you!! What a delicious find! Fudge is excellent and customer service is fantastic! Amazing fudge, fast free shipping, great customer service. What else can you ask for? I was impressed with how quickly I received my order it was packed to perfection. Then I tried the fudge. It brought back.memories of my grandmothers fudge. Delicious melt in your mouth perfection. Enjoyed the free samples also. Excellent chocolate chip cookie. I will recommend you to my friends. Thank you! This fudge is outrageously good! I just got home from work, now I'm sitting here with a cup of coffee and a piece of buttercream and dark chocolate caramel with sea salt! All the freebies were excellent, my son ate the cookie. I ate all the rest😂. Would definitely order again! Butterscotch may be next on my list! Ordered on Nov 10th...received on the 13th...from Enumclaw, WA to Kennesaw, GA in 3 days...great service...and the freebies are amazing...praline, fudge samples and CC cookie...thanks Ann for some really good treats!! You'll hear from me again!! Just wonderful old fashioned flavored fudge. just placed my 3rd order. Walnut fudge, Butterfinger fudge and regular chocolate fudge were good but I threw away the strawberry and cream it was awful, it had a strange flavor and left an even worse after taste. Yum!! I haven't gotten to my fudge and brownie order yet - LOL! I am too full from eating my bonus items! My cookie was wonderful and that is saying a lot cause I'm traditionally Team Hard Cookie. I did not expect it to be so large and packed with chips!! The praline fudge was scrumptious. I never had that before. My fudge samples (white chocolate and chocolate peanut butter) were equally tasty and the texture was perfect. Very smooth/velvety. I really liked the presentation of the chocolate peanut butter - it was something that I had never seen before and will now be something that I will prefer!!! The shipping was faster than I had expected considering it went from one end of the country to the other!! Can't wait to order again!! I can't begin to tell you how good this fudge tastes. I saw an ad on facebook for this business. They had a great deal so I took a chance. Best tasting fudge I have EVER tasted. So creamy and the flavor options are fantastic. Thank you for the wonderful fudge and customer service. I came across this page randomly and was hesitant to order, but the great reviews and the buy one/get one free deal persuaded me to try. Holy moly, this is the creamiest fudge I've ever had! And I loved the free samples of two other kinds of fudge and two cookies! I will definitely be ordering again! Received my order today. First one I tried was the Butter Pecan Fudge.....OMG, to die for !!!! Can't wait to try the others! Best fudge that I have tasted in awhile! I love the penuche and chocolate peanut butter fudge. I also enjoyed the samples of white chocolate and mint chocolate chip. Very fast shipping. I will be purchasing from Ann again. Thank you! super fresh ! delicious! fast delivery and very well packaged !! The fudge is smooth and not crystalized - it's sweet but not clawingly so. It really is good. The butterscotch and dark chocolate are to die for. Loved the Russian tea cookies. Chocolate chip cookies; sorry, mine are better. I love to cook and bake but candy (I consider fudge candy) just isn't my thing. I would rather order from here and cook and bake other stuff! Really, really good!!! My first experience was very positive! Quick delivery, well packaged and the fudge was so tasty! I highly recommend buying her fudge. This won’t be my last order! Everything. The products, the service and the people. The fudge was really good! Other fudge lovers I shared with agreed! I just received my order, it is so delicious! And thanks so much for the free samples, I was only expecting a cookie, but there were other samples, too! This fudge is so good. Shipping is fast. I highly recommend it and I will personally be back. Delicious, simply delicious. We tried several to sample for Christmas gifts and were very pleased with taste, texture, and overall quality! Excellent fast delivery. The fudge is rich and oh so delicious. Incredibly delicious. With the reviews I saw, I HAD TO try for myself and I was not disappointed!!! Absolutely delicious!!! The best by far!!! Fast shipping, samples with the order. Tasty fudge! Just received my buy 3 get 1 free order, along with a free cookie, praline, and 2 samples of fudge. All is delicious. My favorite is the penuche. Amazing quality, taste and customer service. Highly recommend! Ordered on Friday, got it on Monday. I got 4 kinds of fudge and freebies, including a choc chip cookie, a praline and 2 samples of fudge flavors I didn't order this time around!!! The chocolate chip cookie WAS so good and those fudge samples have me hooked. I could definitely feel the love ❤ Sadly, I am going to have to share the fudge. But the freebies, those are...were...all mine! Best fudge ever!! Creamy and delicious. Quick delivery too! True old fashioned fudge. It’s creamy and melts in your mouth. The flavors are whole not artificial tasting. The consistency is dreamy! I’ve ordered twice already! I am a die hard fan of the old school chocolate or chocolate walnut but I gambled on chocolate caramel, coconut cream and Buttercream. I ADORE Buttercream. It’s like brown sugar and butter made into divine fudge! I savor every bite of Ann’s fudge! This is HOMEMADE...and you can tell. I bought the 3 and 1 free. They were all good. Chocolate walnut is my favorite...then chocolate carywith sea salt next SO FAR.... YES, I will try others. The peanut butter didn't have enough peanut butter taste for me but I am a peanut butter lover. I will definitely be placing an order for more next month! I ordered 4 types of fudge and they are all fantastic!!!! Fast shipping, friendly, and high quality, you can't ask for any better! Edit: Just received my 2nd order. If I could give it 10 stars, I would! It's really that good! The Penuche and Buttercream are my favorites so far! I received my first order today, and all of the positive reviews didn't disappoint! The fudge is amazing! Out of the 4 flavors I ordered, the buttercream is my favorite! I will be ordering more for sure! And after receiving the free praline, I will have to order some of those next time too, it was delicious! ....lovely fudge, for sure. I ordered the Tea Cakes and while they are very good, you only get 5 small cookies (about the size of a silver dollar) for 12 bucks. NOT worth it. Come on, at that price, a dozen should be provided. Fresh and delicious, fast shipping and friendly people! Doesn't get any better! Most awesome fudge I’ve ever had. Shipped quickly and arrived in good shape. The samples were a plus. Love it. I got my second order today. I am freezing it for Christmas! Thank you Ann for the wonderful customer service! I ordered 4 different kinds of fudge. It arrived quickly, perfect packaging! Each one was so delicious! I will definitely be reordering!! Excellent Fudge I just love it and will definitely buy it again! I am a first time buyer and was excited to receive my fudge and pralines today. The free shipping and packaging were perfect. I was expecting the bonus chocolate chip cookie and praline, which were delicious, but also received 2 small samples of fudge flavors that I hadn't ordered. The Mint Chocolate Chip and Coconut Cream fudge samples were smooth and delicious. I always like to do business with people, who show care in what they do and provide something I wasn't expecting. I will definitely need to order those flavors of fudge in the future. I am going to have to ration the tasty treats so not to have too much in one day. I can't wait to taste everything that I bought. Also, when placing my order online, I didn't know how to successfully add to my order, so I called and spoke to your son. He was very helpful and pleasant to talk to. A great business and great homemade treats! Russian Tea cakes & fudge ,to die for ! Bought some fudge for my fudge-loving husband after seeing an ad on Facebook. Hands down the best we have had! The texture is INCREDIBLE. None of the flavors were overly sweet like a lot of fudge is and they were perfectly balanced. There was no guessing what the flavors were, they were spot on. The free samples and cookies definitely ensured we will order again to try more!! Excellent candy, reasonable prices, super specials. Fudge like my grandmother used to make and that I could never duplicate (not that I tried very hard...). Wish her shop was in central Florida, not Washington State. I'd visit daily! Just got my fudge today! The free samples are such a nice touch and the fudge is amazing. Love the peanut butter chocolate! 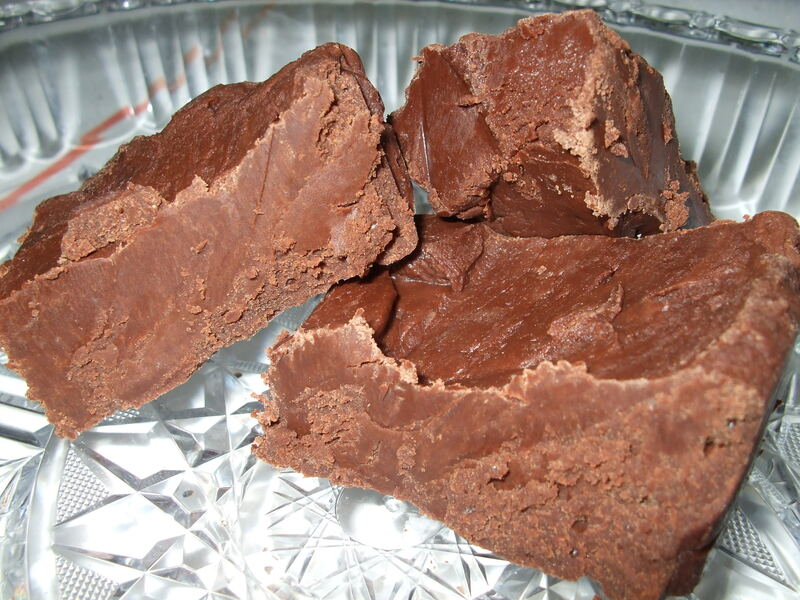 He fudge is as good as my grandmothers was.She taught me to make it,but I just have the time anymore so I think it is wonderful to have found somewhere I can get great fudge!! This is the very best fudge that I have ever had and the price was also the best! Several years ago were were vacationing on Martha's Vineyard.There is a fudge store in Edgartown that sold the best fudge I ever tasted..until I got my order from ANN! Oh Fudge has me hooked!! I’ve placed my second order in a month for Oh Fudge by Ann. The Rocky Road fudge and Naiamo bars are particularly delicious. In addition to a nice personal note from Ann, my order came with three generous samples-chocolate chip cookie and fudge. I highly recommend their products. The best fudge ever! I’ve tried several flavors and love all of them. Plus, the pralines are to die for! So glad I found this site! This is by far the best fudge I have ever tasted! It is homemade and just delicious! I love the Maple Walnut the best so far, but I definitely will be ordering more of the other flavors! Now to get my sister to try it! She loves fudge too! I was even sent a few samples to try with my order! TY so much! I waited 3 days for my fudge, and I was not disappointed when it got here. The butter pecan fudge was so yummy. I'm not a big fan of the nanaimo thing. everything came nicely packaged and fresh. I felt like it was a great deal. Ordered 1 peanut butter fudge as a test run. I've been looking for a replacement fudge since my grandmother passed away years ago. Never found one that lived up to hers. Ann's is as close as I will ever get. It is melt in your mouth amazing. Kicking myself for not ordering more. I could literally eat this container in one sitting and have to force myself not to. I have not tried the extra goodies that came with it yet, but can only imagine how amazing they are as well. Everything was delicious, arrived super quickly, and custom service was awesome as well. Loved the samples I received- now I know what to get next time! Will be a repeat customer for sure! They have amazing fudge and I haven't tried everything I got yet but man the Nanaimo bar is to die for. I'd be sure to get that again if I made another purchase. I bought alot so hope it lasts , not sure if it will with how amazing this stuff is. Thanks so much! I usually make fudge for the holidays, but not anymore. Oh Fudge by Ann is SO much better, and with so many amazing flavors it is easy to find something to satisfy everyone's sweet tooth! Ann offers a high quality product and an awesome variety, along with good old fashioned customer service. I'm never making my own fudge again! Order and you will be glad you did! very quick response when there was an issue with the order. Fudge and cookies were the BEST we've ever had. Best fudge ever. I am addicted to the Amaretto. So far I have tried 4 different flavors and I rate all of them 5-star. They are delicious. And Ann provides super fast delivery. The tea cakes are especially wonderful. I love it all! Everything is so delicious, the free bonuses are a super nice touch, and customer service is top notch! Will absolutely order again! This fudge is amazing! Great flavor, fresh and crazy fast shipping. I can't wait to order again! Quite Possibly the BEST fudge I have ever eaten!! I highly recommend this seller and her product. Service is outstanding, but even better is the bliss when you bite in to a piece of her fudge!! Thanks Ann for an outstanding product! 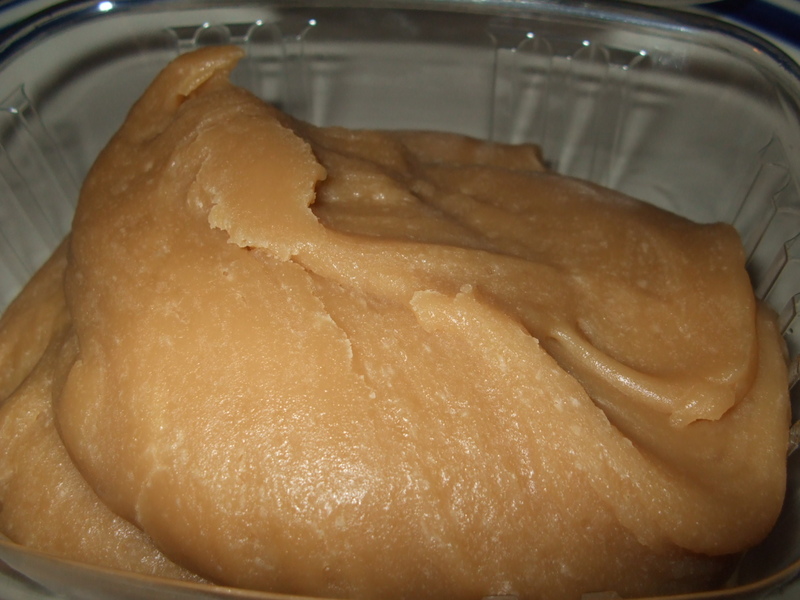 Very fast shipping and each type of fudge has its own container. I've tried several homemade fudge places and this one is DEFINITELY the best I've had! Absolutely delicious - all of them that I ordered. My favorite is the peanut butter and chocolate, but they all taste so good! Nice service, fast shipping and a great product! Received the fudge today....oh my delicious😋 I haven’t tried all the flavors I received but I’m sure there’re all good. Thank goodness my husband wasn’t home, because I ate the cookie, yum! I’ll be ordering again! Just received my first fudge order and OMG BEST FUDGE EVER!!!! So delicious, smooth and creamy!! The Chocolate Chip Cookie was amazing - you notice I said was! Thank You!! Just received my order , absolutely delicious , worth every cent ! If you like fudge , try it ! I just recently received my first order. I love the freshness, creamy, delicious fudge. I will be ordering more. Awesome fudge!! And my free chocolate chip cookie was to die for!! Put most of my first order in freezer to have when family comes to visit - but don't know if it will stay in freezer for long. So I am placing another order to share! Not only was shipping insanely fast and free, she included free samples as well!! I ordered as a gift and the receiver is over the moon pleased with all of it! Will be purchasing again as gifts for others. Since it was a gift I have yet to try it but very excited too! I’m told the chocolate peanut butter fudge and the butterscotch fudge are incredible! I very highly recommend. The best fudge I've had in years. smooth and creamy. Just total perfection. Creamy and absolutely delicious fudge and pralines! All of these five-star reviews are no joke. This is the creamiest, most flavorful fudge I've ever had. No grit whatsoever. I got dark chocolate sea salt caramel, rocky road, amaretto and Butterfinger and every single one is so delicious. I've got my parents and all of my coworkers hooked. I'll definitely be ordering more, and will probably become a regular customer. Ann even wrote a little handwritten note on my receipt thanking me for my order, along with a couple sample flavors and a cookie. Ann, THAT is how you earn my repeat business. Keep up the good work! Oh Fudge by Ann makes the best fudge I've had in years! Usually, fudge that I've bought elsewhere is way to sugary. The Almond Bliss, Chocolate Peanut Butter, Peanut Butter and especially the Praline, just melt in my mouth. All the distinctive flavors come through. I highly recommend this fudge! I've eaten a lot of fudge in my life and honestly this is some of the best I've ever had!! (Sorry Mom lol) So excited to order other flavors in the future! Best fudge I have ever had! So tasty and creamy! Highly recommend to anyone to try you will not be disappointed! The Mint chocolate chip if my favorite!!! I received my order very fast. Even with Labor Day. The Dark Chocolate, Sea Salt with Caramel is my favorite. Maple Walnut is delicious. These are so creamy. I'll be ordering again very soon. great fudge, melt in your mouth taste. shipped fast.. definitely will order more. 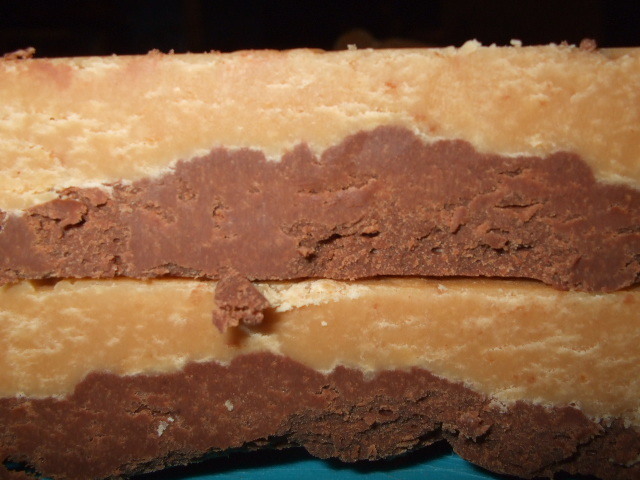 Awesome fudge, smooth, creamy with great flavors! 10 out of 10! I would highly recommend Oh Fudge by Ann not only because the fudge is fantastic, but because their customer service is too!!! My first order of fudge arrived melted and without hesitation they sent a replacement order, including another chocolate chip cookie!! I bought 4 different flavors and all were delicious! Definitely will buy again!! Delicious!!! I ordered my favorite Rocky Road also the Peanut Butter fudge. Would highly recommend! Chocolate chip cookie, fudge samples and the Tea cookies were amazing too and of course fun to get! Thank you! Love the Fudge. I definitely will purchase in the future. Oh Fudge by Ann is the very best fudge I have ever tasted. The praline that is included in every order is so delicious. Butter Pecan Fudge is my favorite flavor. My husband fell in love with the peanut butter fudge and I loved all the ones we got however I was given a sample of the amaretto fudge and it is now my favorite! and just from a small sample. The cookies are amazing as well! Saw the ad on Facebook and decided to try the fudge out. WOW! Delicious - creamy and so good. My husband loves the caramel with sea salt. The cookies are delicious as well. If you love fudge - you'll love "Oh Fudge by Ann". I can't say enough good things about this fudge.